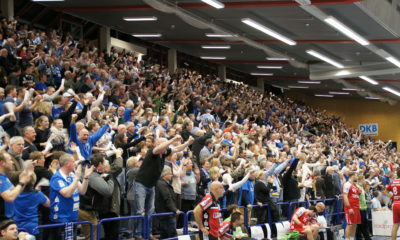 The Füchse Berlin made a huge step towards a place in Europe for next season beating one of the biggest rivals for fifth place in the league, the HSG Wetzlar, 23-20 (12-9) in front of 9.000 crazy fans at home on Sunday. 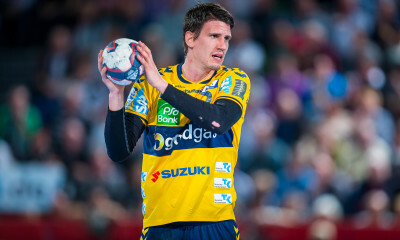 Both teams had entered the game at 31 points apiece, but Wetzlar, fielding three EHF EURO 2016 winners in goalkeeper Andreas Wolff, left-back Steffen Fäth and line-player Jannik Kohlbacher, wasn’t able to create enough chances on offense, thus scoring only 20 times. Berlin didn’t do much better, but a stellar defense helped the capital-based side to escape with a narrow win. Fabian Wiede, the foxes lone European champion, led his team in scoring with six goals, one from the line, along with Drago Vukovic, who netted six times as well. 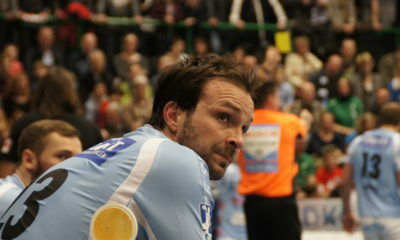 Jannik Kohlbacher led Wetzlar with five goals. The loss has the guests sitting four minus points behind Berlin in the race for Europe, with a home game against Gummersbach coming up, while the Füchse will travel to Leipzig to face suprising SC DHfK.